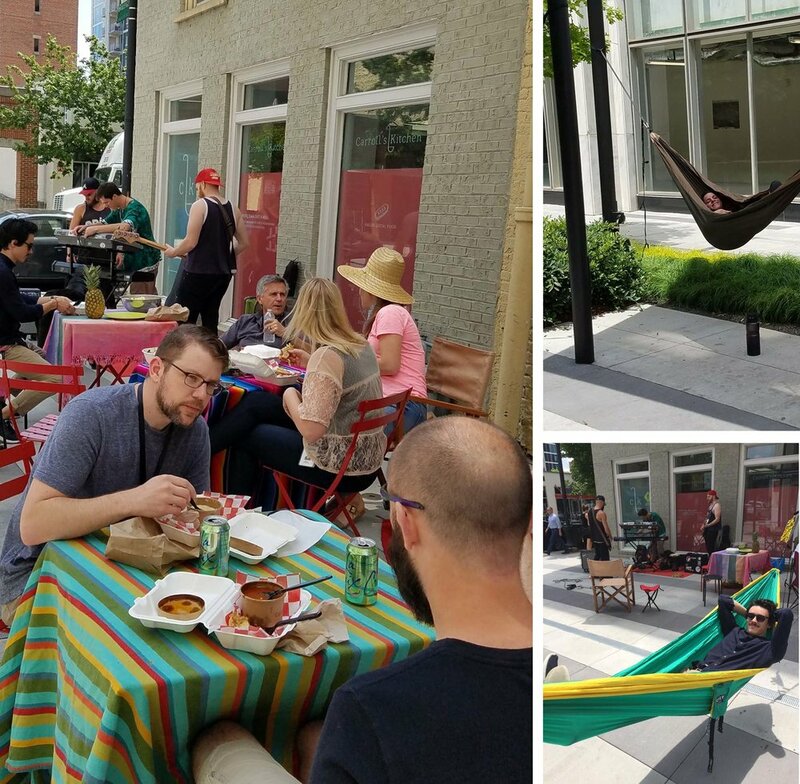 Raleigh Urban Rangers' inaugural event was a lunchtime picnic and hammock hang in Market Plaza, downtown off of Fayetteville Street. It is a newly renovated public space that often sits empty. These kids jumped in the hammocks as soon as they saw them. 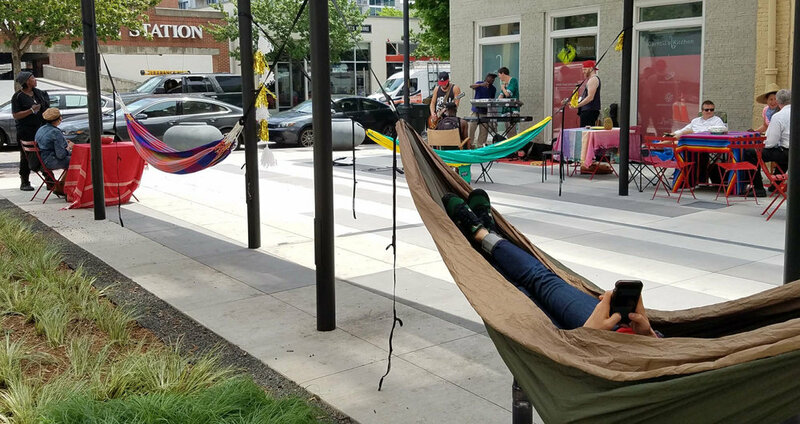 Passersby were happy to stop and eat, or grab a hammock, putting their feet up in the middle of downtown. What if more of our public spaces were spontaneously used and animated like this? We welcome the city out to play! Our picnic attracted this Red Hat worker, who plays the flute during his lunch hour for relaxation. He stopped by to perform a song or two while we ate. And another downtown worker rolled in for an impromptu dance. She regularly rollerblades during lunch for exercise. We are encouraging residents to more actively use our city’s public spaces. 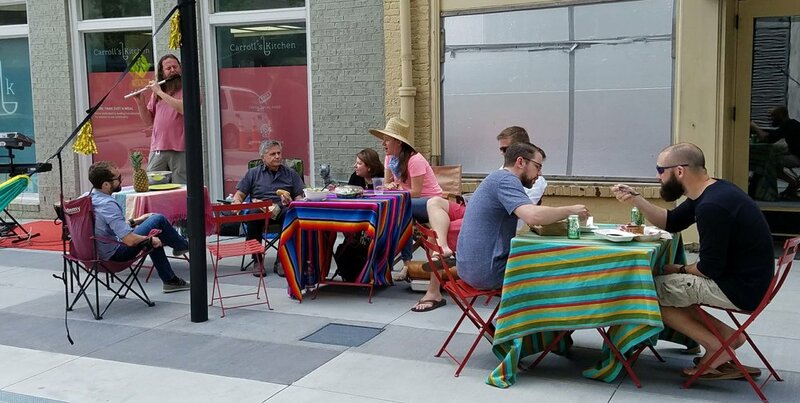 Our streets could be places where people meet, building community across neighborhood divides. Let's fully inhabit all parts of our city!